Following their trip to Game 7 in the second round of the playoffs last season, much was expected of the Nashville Predators heading into this one. For example, both Puck Daddy and The Hockey News predicted a top-two finish for the Preds in what was projected to be a very strong Central Division. However, what is it they say about best-laid plans? Just over halfway through 2016-17, the Predators are fourth in the Central, and on the playoff bubble. This, despite the early season struggles of their usually imposing division rivals – the Dallas Stars and St. Louis Blues – and also despite that the Preds have given up the seventh-fewest goals in the NHL. Both starter Pekka Rinne and heir-apparent Juuse Saros have been very good between the pipes for the Predators, sporting .921 and .954 (in eight games, mind you) save percentages, respectively. Rinne’s .921 ranks ninth amongst goaltenders with 10 or more games played and is a welcome sight after the .908 he laid down last season. According to Man-Games Lost, the Predators have not been frequent victims of the injury bug but boy, when it bit, it bit hard. 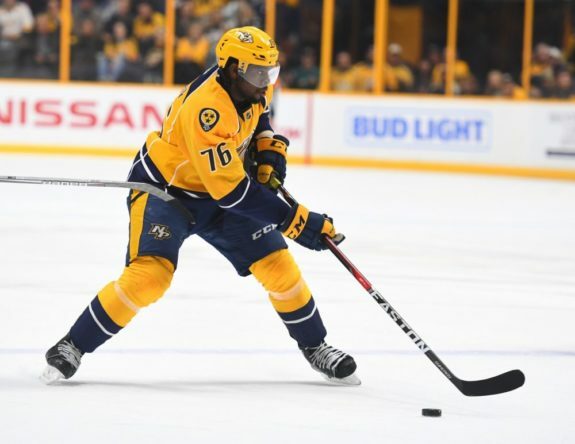 Much-heralded offseason acquisition P. K. Subban, after picking up right where he left off in Montréal with his stalwart play at both ends of the ice, last played a game on December 15th, sidelined with a (suspected) back injury. With Subban, the Preds are an elite possession team with an aggressive, highly effective style of play. Without him, they struggle to reach league-average in possession and, in general, play more conservatively. NHL.com beat me to it, but Matt Irwin has been fantastic for the Preds in his first year with the organization. Nashville has the best top-four d-core in the NHL, but, as is the case this year, injuries and other situations inevitably come up. 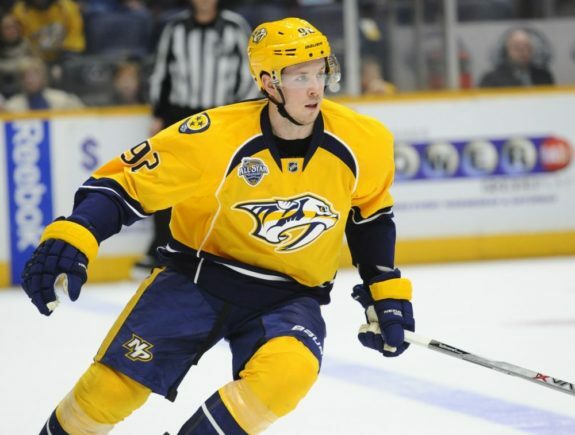 Irwin, known to be a depth defenseman, has become a viable option for the third pairing and also for plugging holes in the Predators’ vaunted stable of defensive talent. The offense ranks 21st in goals scored which is a far cry from 12th overall – 5th in the Western Conference – where the Predators ranked in 2015-16. After years of a defense-first mentality, the Predators under Peter Laviolette have opened the taps the past two seasons and, with much the same lineup, were expected to do so again in 2016-17. So why the drop in scoring? The Subban injury obviously hurts, given the aforementioned changes to the team’s play in his absence. However, in an 82-game season, injuries are to be expected. The fact is the Preds rank, according to Corsica, fifth-last in the NHL in scoring chances per game. Not surprisingly, their expected goal total is similarly low, corresponding nicely with the low number of goals they’ve scored. Their PDO – save percentage plus shooting percentage – is average, as well. Simply put, the Predators haven’t been all that good on the offensive side of the puck. But hey, it’s a marathon, not a sprint, right? There is still half a season of hockey to be played. P. K. Subban returns – and remains – fully healthy. If anything, maybe his time off will benefit the Preds down the stretch, given the fact that a top-pairing defenseman just had a month or so to recharge and recuperate. On a more definite note, the Predators can look forward to their bye week. If they can make it to February 13th, at the very least, still treading water, the team will have a five-day window to rest up and reset. The offense could also find its rhythm. Craig Smith is coming off three straight 20-goal seasons. He has seven. Filip Forsberg, after two straight 60-plus point seasons, not to mention a shiny new contract, is on pace for 50. P. K. Subban’s seemingly imminent return from injury never comes. Or, if it does, his injury has not fully healed, necessitating surgery which the Predators were trying so hard to avoid. Not to mention, any injury to any remotely offensive player would be a blow. The Preds are walking a fine line at the moment. Any drop in scoring could be the death knell for the team this season; there is only so much sterling goaltending and defensive play can do. …I don’t have to write any more about the Preds’ inconsistency. If the offense can gel and start creating more chances more pucks are going to go in. If not, maybe one or more personnel changes are needed among the forward core. The Predators have seen too many quality players – defensemen specifically – come and go over the years. They cannot afford to squander the prime of their lineup, which may be their best-ever. …the Preds miss the playoffs or crash out early. For a team that, just eight months ago, was a Game 7-collapse away from playing for a conference title, anything less than a trip to the second round can only be viewed as a disappointment. Given the year of experience and maturity gained by their young players, not to mention having whispered the right incantations to get Rinne playing like an NHL goalie again, the Predators should be much better than a bubble team, especially in a year in which the Blues and Stars have both regressed. The best thing the Predators can do is to bolster their scoring. Top-flight offensive players don’t come cheap, but the Preds have five defensemen that can comfortably slot into any position on any team, not to mention all of their draft picks – along with one from the Rangers – for the next three years. 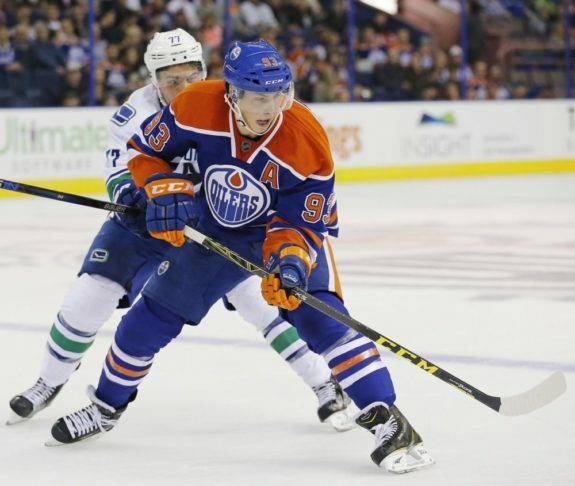 Could Edmonton’s usurped Ryan Nugent-Hopkins be a fit? What about Gabriel Landeskog or Matt Duchene from the imploding Colorado Avalanche? There are quality pieces to be had in the coming weeks, many of which could turn the season around in a hurry. If they know what’s good for them, the Nashville Predators will pounce. It might be their best chance at contending.